This new instalment in the first complete recording of the Fitzwilliam Virginal Book, a prestigious project of unprecedented scope and importance, is a double-CD containing works by Farnaby and Bull. 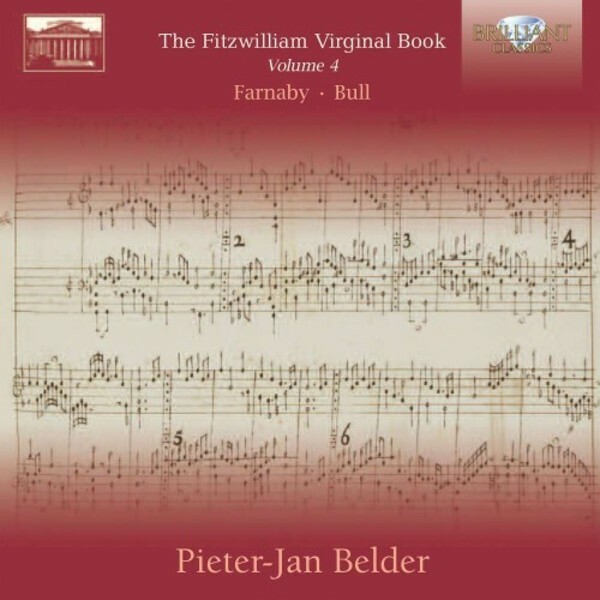 The Fitzwilliam Virginal Book is the most famous, extensive and important collection of keyboard music from the English Elizabethan and Jacobean Era. Lodged in the Fitzwilliam Museum in Cambridge, it contains more than 300 works for the virginal, by composers such as John Bull, William Byrd, Thomas Tomkins and many others. This set contains works by Giles Farnaby and John Bull, two famous British keyboardists, and consist of a wide variety of dance forms such as Pavan, Galliarda, Fantasia and instrumental arrangements of popular songs or madrigals. Pieter Jan Belder is one of the world�s foremost keyboard players, with an astonishing number of CDs to his name: the complete Scarlatti Sonatas, Bach keyboard works, Rameau, Soler, Duphly, Marais, CPE Bach, Corelli, Purcell, Telemann... He also wrote the excellent liner notes in the booklet.